NOTE: Make sure that your Digital Media Extender and TV are powered OFF before connecting the devices. 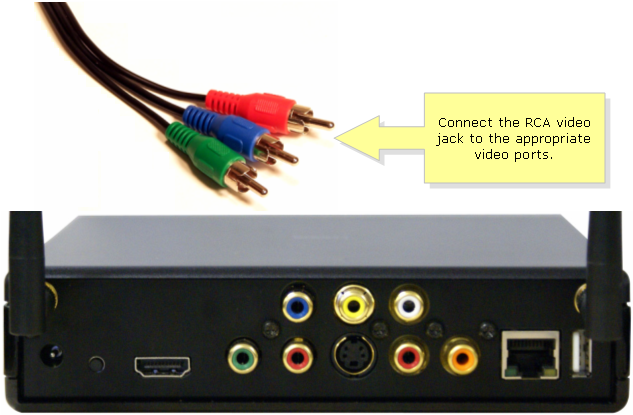 Connect the RCA video jack to the video ports of the Digital Media Extender. 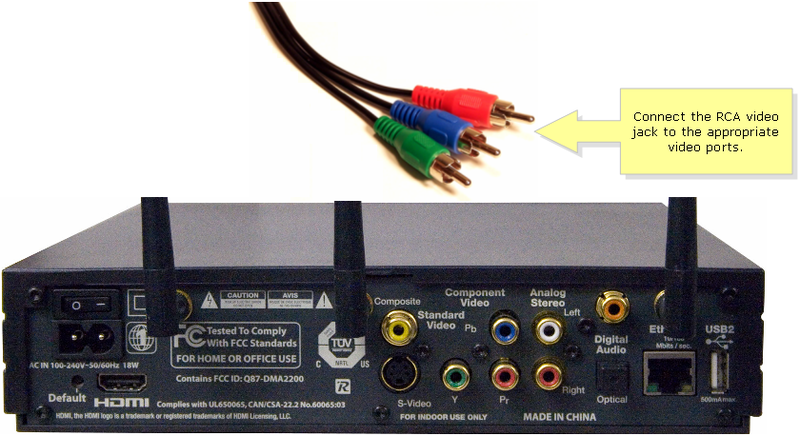 Use the colors of the ports as basis in connecting the RCA video jack. NOTE: The jack may differ depending on the type of connection the TV uses (S-video, composite, component or HDMI). Connect the RCA video jack to the TV. For instructions, contact the manufacturer. On the Media Center computer, click Start and then type “cmd” in the Start Search. In the Programs list, right-click cmd, and then click Run as administrator. At the command prompt, type “cd %windir%\system32”, and then press ENTER. Type “Lodctr /R”, and then press ENTER. Wait until you receive the following message, and then enter exit:. Restart your computer, and then reconnect the Extender. The problem may be caused by the network performance counter working improperly. Ensure that the firmware of your DMA2200 is updated. Sometimes, the error occurs when the firmware is corrupted and this problem will be solved after updating your device’s firmware. For instructions on how to update your DMA2200 firmware, click here.